TODAY WORLD LEADER OF the ELECTRIC TRANSPORT OF CLOSENESS WITH MORE THAN 90 000 GYROPODES IN CIRCULATION IN MORE THAN 80 COUNTRIES. Ideal for for the discovery of the city, in complete peace. He can travel up to 40 km in a maximal speed of 20km / hour. Ecological, it consumes on average 0,25 centimes of euros of electricity for 100 km! It reloads on a simple standard wall grip, 2 or 3 hours for normal day and 8 hours for a complete refill. 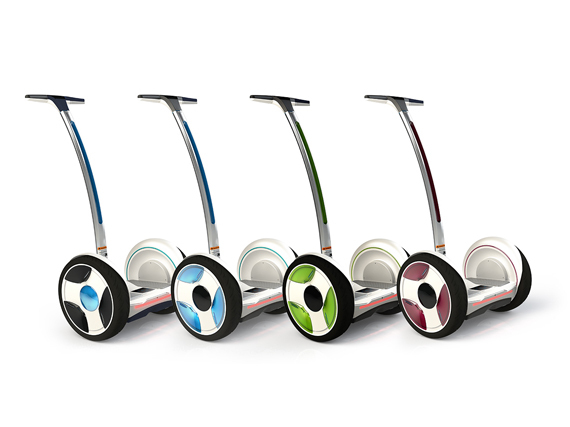 Its unequalled qualities make of the gyropode the ideal solution regarding transport leisure. Our guides are all trained to supervise you in your initiation. Reception 7 days a week by reservation.